Summer is a time for getting outside to enjoy the sun and recreational activities with friends and family. Where there is water there is a way of enjoying the sun and cooling off at the same time. There is nothing like having a pool at home on those hot days when swimming is the best way to cool off in the middle of a summer’s day. There are several ways to enhance the pool with swimming pool landscaping. 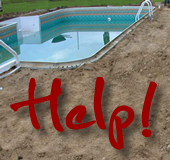 We offer Patriot Pool Company for new pool installations and design changes to existing pool dimensions. Patriot Pool company is operated by Andrew Homa. Andrew is a hands on business owner and pool builder. Patriot Pool company’s exclusive focus is the installation and construction of custom designed in-ground pools many offering integrated water features. 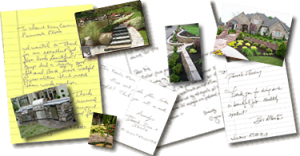 For hardscape design, decking, fencing, patios and landscaping he offers the symbiotic relationship of Forever Young Landscaping. The landscaping should depend on the type of pool the owner has. Plants and stones work better with in-ground pools. That way they will be level with the ground, although above ground pools can be landscaped as well. A little innovation has to be exercised in this case however. Some above ground pools are surrounded by decks, where potted trees and flowers might be strategically placed. In-ground pools with decking around them would benefit from the same idea. Other types with cement and stones have the potential to be converted to an elaborate oasis. Flagstaff stones are good for landscaping. Mounted flat stones of this nature can hide seeds that will generate sprouts and eventually allow creeping plants to grow between them. Stacked boulders and big rocks can create the cascading water effect. If the stones are situated around the perimeter of the pool, it will look more like a natural water source. Potted plants and flowers may serve as fillers to decorate and give the area a fuller look. Lighting is another element that will generate the desired effect and ambiance, especially in the evening. Lounge chairs and potted trees will add the back yard touch. Decking could still be added in a different area or further away from the pool with stone borders. A larger yard may even be enhanced with a koi pond and patio. A garden would make it the epitome of an oasis. If vegetables are not feasible for growing, herbs may be. Most people have a section of the back yard for grilling, and maybe even a bar or gazebo. Eventually the owner could add statues and other embellishments. Maintaining a swimming pool takes commitment, but technology is making swimming pool maintenance easier. People love to surround themselves with beauty without spending a lot of money. The friend or family member with an attractive yard with all the amenities is going to be busy entertaining over the whole summer. Learn more about how to add landscape lighting to your pool with solar patio lights as well as solar pathway lighting. Whether your challenge is finishing the fencing, deck or landscape around your pool or even the initial planning for design and placement, Forever Young Landscaping will provide you with an ergonomic and natural recreation space. Gabion baskets and mattresses form containers, that when filled with stone, provide an aesthetic method for retaining earth or controlling soil erosion. As a method for retaining earth, gabion baskets are stacked atop one another to form a hardscape feature, retaining walls, culvert headwalls, bridge abutments or bridge wing walls.